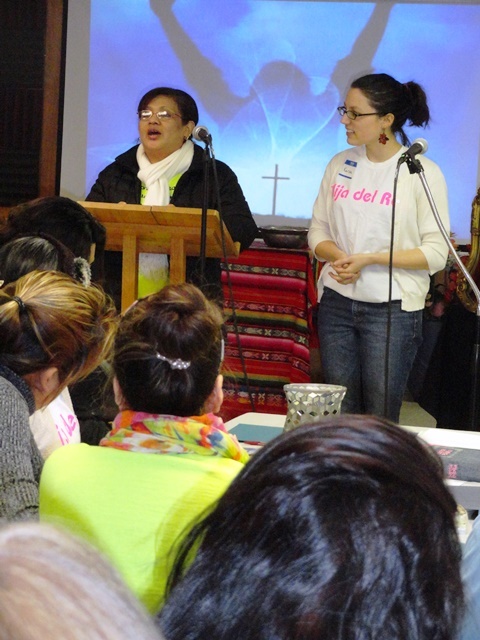 On the morning of Saturday, March 7, approximately fifty women joined together at Nueva Vida Norristown New Life congregation to “set the day apart” for worship, learning, and fellowship. The theme of the day was “Shattering Our Mirrors,” releasing the false image we see and embracing the image God sees when our Creator looks at us. Sandra Dresher-Lehman shared that God’s creativity in His creation of women may not always fit the mold the community has prepared for us and encouraged each to be authentic followers of Jesus. Christine Waanders challenged each to own her personality and to see positive possibilities in what may considered our downsides. Other speakers included Kristi Wile, Donna Merow, and Ana Giron. Thanks to Marta Castillo and Karisa Barlow who translated, everyone was able to understand. 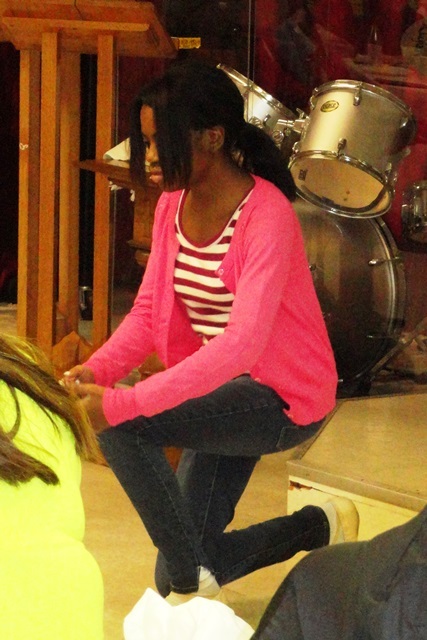 During the time together, the women learned to know new friends, made origami boats, sang, discussed, prayed, looked inside themselves and were challenged on their journeys of faith, washed hands together, and blessed each other. The women enjoyed a delicious lunch, provided by the congregation, over lots of chatter and laughter. What a refreshing, insightful, delightful day! The conference Sistering Committee is made up of Anne Yoder (chairperson), Donna Merow, Bobby Smisko, Kristi Wile, and Doris Diener. 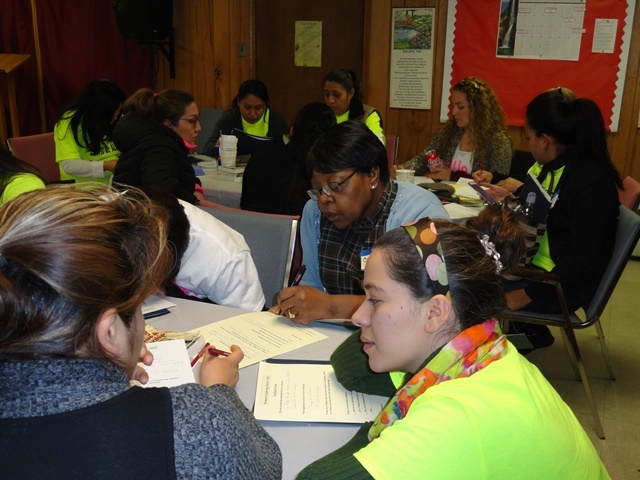 This event was the fourth Franconia/Eastern District Conference Women’s gathering since the 2012 Sister Care event.